Customer data at seven of Donald Trump’s hotels may have been stolen after their payment systems were hacked for over a year. The Trump Hotel Collection said on its website that hackers gained access to its systems between May 2014 and June 2015 at the front desk of those hotels, AP reported. Hotel restaurants and gift shops were also hacked. The hotel operator said an independent forensic investigation has not found any evidence of customer’s information being misused. The company is offering affected customers a year of free identity theft protection. 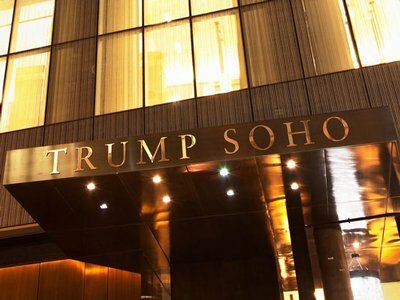 According to AP, the potential thefts occurred at the Trump SoHo New York, Trump International New York, Trump National Doral in Miami, Trump International Chicago, Trump International Waikiki in Hawaii, Trump International Hotel and Tower Las Vegas and Trump International Toronto. Donald Trump is chairman and president of Trump Hotel Collection and three of his children have executive roles. Trump Hotel said it is working with the Secret Service and the FBI to help “catch these criminals and prosecute them to the full extent of the law”.